Let’s celebrate Canada’s 150 birthday together! Good morning and welcome to our Canada 150th birthday celebration! Each hour today we hope you'll join us as we go on a journey together and share some interesting things that make Canada the special and unique place it is. It's all about being together today friends. 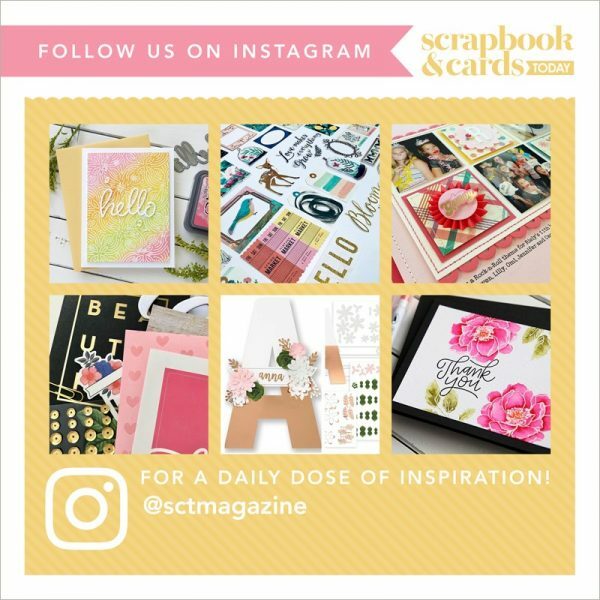 Scrapbook & Cards Today magazine is based just outside of Toronto, Canada and today is not only about celebrating our grand home but also sharing this home with our readers all around the world. If you're following us from Canada, please jump in and say "hello" and if you're joining us from around the world, please tell us where you're from! At SCT we love to celebrate which means today we have some fun Canadian themed giveaways, an exclusive printable and a little something extra we've created to honour this occasion. At the end of the day, we a fabulous giveaway you won't want to miss. We also want to take a moment to thank our dear friend Alyssa Light for helping us put together a wonderful day for our readers all over the world! So let's get this party started with our name…CANADA! We commissioned a wonderful local Canadian designer, Nicki Traikos of Life I Design, (find her on Instagram too @lifeidesign!) to create an exclusive print that you can download and print at home! Thank you Nicki! The maple leaf on the Canada Flag symbolizes unity, tolerance, and peace and this image represents just that. Another fun thing Canada is known around the world for is our "loonie" and our "toonie." These coins represent our $1 and $2 currency. "The Canadian one dollar coin, commonly called the loonie, is a gold-coloured one-dollar coin introduced in 1987. It bears images of a common loon, a bird which is common and well known in Canada, on the reverse, and of Queen Elizabeth II on the obverse." Interesting story, the "loonie" was not originally supposed to have a loon on it. After the dies were created for this special coin, the dies were lost in transit. Rather than take a chance of counterfeit coins being made the Royal Canadian Mint created a new die and on it, the loon! The original dies still have not yet been recovered. Today we would love to share a loonie and a toonie with lucky readers each hour (along with some other fun prizes along the way!) Be sure to leave a comment below by July 7th and we will randomly select one lucky winner this hour to win them! After leaving your comment here we hope you'll take a moment to visit us on Facebook and Instagram and leave a comment there as well for THREE chances to win! We'll be compiling all the comments each hour. Next hour, learn what some of our favourite Canadian foods are! Fun fact: Canada has more lakes than the rest of the world's lakes combined. In fact, Ontario, Canada, has more than 250,000 lakes. They contain about 1/5 of the world's fresh water. Loving these Canada Fun Facts! Hello from rainy Ottawa, Canada’s capital. I love this small city of ours with all its green space, Parliament Buildings, canal (home of the longest outdoor skating rink in the world) and its many other beautiful sites. Plus it’s the birthplace of the yummy Beaver Tail! Happy 150th Canada! Happy 150 Canada! It’s going to be a great day! Happy Canada Day…I hope everyone gets to join in on some amazing community festivities to celebrate our wonderful country!!! Happy Canada Day. What a great country to live in. Wishing everyone happiness today and all year. Happy Canada Day! We are so blessed to be living in such a great country. Happy Canada Day!Great print by Nicki! Happy 150th Canada Day! I love visiting ?? Canada! Lots of great places to visit and some amazing foods! My favorite Canadian food is poutine! Better than chocolate in my opinion! Many think that all it is is fries with cheese and gravy but they are so wrong! It has to have the real curd cheese and the special poutine gravy over homemade fries! Without these three ingredients it just isn’t poutine! Love the backstory on the loonie and toonie! TFS! Happy Canada Day! Love the fun facts. Going to celebrate the day with family at a block party. It may rain where I am in Calgary but hoping it holds off. Happy Canada day!! That is a beautiful print. I only learned that story about the loonie recently, and it really adds to the awesomeness of the coin! When I was young child ,long , long ago it was called dominion day ?? Time change but we still celebrate a great country. Happy Canada Day! Visiting Victoria,BC this week. Wishing everyone a great day of celebration???????? Congratulations Canada! Happy 150th Anniversary! Happy Canada 150 Day ! .. We have so much to celebrate! I will use the leaf print in a project! Happy Canada Day! Love the download! Happy Canada Day from Scarborough, ON. I a plan for a special Canada layout and the printable will now be part of it. Thanks for hosting this celebration. Happy Canada ?? Day from Toronto . I love reading about all the things invented in Canadians. Have a safe and awesome day. Happy Canada day eh! ?????? Happy Canada Day from Victoria! A very Happy Canada Day to everyone. I am from Scarborough, aka Toronto, and am incredibly proud to be a Canadian. 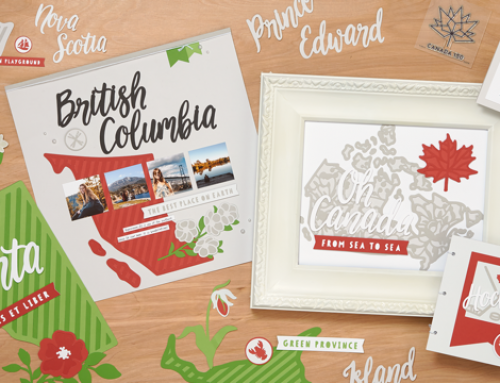 What a wonderful way for Scrapbook and Cards Today, which was born of Canadian roots, to help us celebrate and to share with the rest of the world all things Canadian. Will also say an early Happy 4th of July to our friends south of the border with whom we share this beautiful continent of North America. We had car troubles as we were driving through Canada last Saturday. Everyone was so kind and helpful. We wrapper it’s it so very much!! you came to have them in your possession. Might be a little tricky. Happy Canada day! !I live in Puerto Rico but visited the falls and surrounding areas in 1983 and it is such a beautiful and special place to go. Enjoy your day!!! Happy 150th Birthday celebration dear Canada!!! I was 17 when the loonie made its debut! Happy 150th Birthday Canada!!!! Love this country and I’m so proud to live here! Happy Canada Day! Let’s all enjoy celebrating our great country. Love that you are celebrating Canada Day!!! Happy Canada Day from southern Alberta, almost a stone throw from the Rocky Mountains!! Thanks for the Canadian fun facts; SCT you always go above and beyond with everything you do. PS thank you Nicki Traikos for the beautiful maple leaf design — perfect to use with documenting today’s celebrations. love Canada and loving learning some fun facts I didn’t know about my neighbor to the north! We live in such a wonderful country! Happy Canada Day everyone. If you don’t live here…plan to come and visit. You will be most welcomed. I’m in Edmonton. I’m loving the fun facts and I adore the maple leaf printable! Joining in from New Hampshire – happy birthday Canada. Happy Canada Day! Love my loonies and toonies! So convenient to have on hand. Happy Canada 150 and Happy Birthday Canada from Victoria, BC. Thank you Scrapbook and Cards this is so interesting. Will be celebrating at Canada Day party at Shawnigan Lake and will be keeping up with what is happening at Scrapbook and Cards. Canada Day layout coming up. Happy Canada Day from Greece! What a fun way to celebrate. I admire Canada for being true to the symbols in the country’s flag. Did not know that loonie story, thanks for sharing! Happy Canada day from a Fellow Canadian. Happy Canada Day! I’m far away in south Texas, but I’ve been several times to Canada – for work and for visiting. My husband and I even spent part of our honeymoon in beautiful British Columbia and then took a train ride to Banff. Lovely country and people. I am from Ohio in the USA. Thanks for all these fun facts about Canada. Happy Canada Day from LaSalle Ontario! Hope everyone’s have a wonderful day! What fun to read some facts that I didn’t know about my country! Happy Canada Day! What a truly perfect giveaway – would love to win a loonie and toonie!! Cool! The Toonie was introduced on my 20th Birthday!! Happy Canada Day! Hello from Seabeck, WA. USA. Happy Canada Day, Jen and Team. Thank you for being Canadian and allowing us all to enjoy our Heritage!!! Happy Canada Day from Saskatchewan ??! Interesting fact. Happy Canada Day! Happy Canada Day from Newmarket! What an awesome day and way to spend it! Hello from Minnesota your neighbor to the south. We get up to Winnipeg often and love it. Your currency really shows the great sense of humor of Canadians! Happy 150! that’s so interesting that the dies were stolen and still haven’t been recovered. I love history! Yay for Canada 150! Thank you to SCT for the awesome celebration! I am so happy to be Canadian! I was born, raised, and still reside in Nova Scotia. Our home is about a 15 min drive from the ocean – Canada is one of the most beautiful countries in the world! I would not want to live anywhere else! Hello from Alaska, USA! Congratulations, Canada, on your 150th! Hello ?? Very proud to be Canadian. Born in Nova Scotia , moved to Quebec, then to Ontario, back to Quebec and finally back east to New Brunswick. Amazing country we live in. Happy Birthday Canada ! Happy Canada Day to everyone ! I am so happy to be a Canadian ! Thanks for the sweet download! Loving some Canada Day goodness from my current home in the south! Happy 150th birthday Canada! I love all the facts about Canada, many of which I did not know! Enjoy your celebration! Love the limited edition stamps and dies for Canada’s 150th birthday celebration. Ordered them today! I love calling the One Dollar and Two Dollar coin Loonie and Toonie, it’s just so fitting! Happy Birthday Canada, from California! I have visited all of the Canadian provinces and none of the territories. (I haven’t been to Labrador, but I have been to “Newfoundland and Labrador”, so that counts as a province.) Which territory should I visit first? Thanks for the opportunity to win! Happy happy Birthday! Happy Canada ?? day everyone. Happy Canada Day. Thanks for letting us celebrate with you. Happy Canada ?? day everyone!! Happy 150th anniversary! Loving the celebration! Happy Canada Deh, my fellow Canucks! Happy Canada Day eh!!!!!!!!!! Love the toonie as my favourite animals is the polar bear! Great to celebrate the day with SCT! SCT~ I keep telling ya’ll this – you throw the best parties and I’m so glad to be celebrating with you today! Thank you Nicki for the lovely printable. It will be perfect for to add to our frame gallery wall. Wow,that’s a lot of water! Love having Canada for a neighbor! Blessings to all my Canadian friends! I’m celebrating today with you, down in Austin, TX! I’ve been well treated and well fed each and every visit to Canada, especially at Crop and Create! So fun to meet new friends and try new things! Happy Canada Day to all! I love all the facts that have surfaced in the last few days! We should celebrate ‘us’ more often. thanks for the fun facts about Canada! thanks for the chance to win! Happy Canada Day. I spent the afternoon walking around downtown Ottawa with thousands of other happy and proud Canadians. Thanks for the opportunity to celebrate Canada’s 150th and learn some new facts. Hope everyone had a Great Canada Day! Today was a beautiful sunny day in BC – much to nice to be indoors, so catching up now on the fun facts about this beautiful country! Happy Canada Day! Another fun fact, our Loonie is 30 this year! Happy 150th. So proud to call myself Canadian. Looking forward to the surprises you have lined for us. I had no idea that the “original” loonie didn’t even have a loon on it, although I do remember hearing that the original die were lost. Cool facts! Sunny here in SK today. I never knew this about our loonie. Thank you for the information. I’ve never been there so it’s fun to learn something. Happy celebrating Canada’s Day! Proud to be part of this special 150th celebration. #we r the true north! My favourite place to be – the lake! Happy Canada Day everyone! Yesterday was family time, chilling and relaxing. Hope everyone enjoyed our country’s celebrations from coast to coast to coast. Happy Canada Day SCT! ?? Happy Birthday Canada from Indiana! Love Maple syrup and SCT! Thanks for the chance to win!?? The coins are beautiful! I love a bicolored coin. What an interesting tidbit about our loonie-I had no idea! I have been fortunate to travel a bit, there is nothing like discovering new places to gain a greater appreciation for how truly blessed we are in Canada. Happy Canada Day everyone ??! Happy Canada Day from Fonthill, Ontario!! Happy Canada Day we should celebrate each and every day for our bless country. We celebrated Canada day with great food including butter tarts and great people. Transplanted to the US, it is funny that my neighbour beside me and behind me are Canadians! Happy Canada Day! Fun facts! Couldn’t follow along yesterday as we were getting ready for a big celebratory bbq but I can’t wait to check out all the posts! Happy 150th Canada! ?? Such a special milestone to be celebrating in the history of such a wonderful nation. So proud to be Canadian! Happy 150th Canada! Belated Happy Canada Day! Friends of mine have moved there for 2 years and just love it! Thanks for sharing these fun facts about Canada! An interesting bit of Canadian trivia, with the note about the “loonie”. I did not know that. Happy Birthday from the USA. 1/5 of the world’s fresh water? Wow. I’ve gotta go read the other fun facts. Happy Canada day to you all from the U.S.
Beautiful new coins to celebrate our country’s 150th birthday! Just now reading these post…and loving them! Living in Buffalo, New York, close to the boarder of Canada, I have plenty of loonies, and toonies in my purse! Happy Birthday Canada!! Love being so close to visit whenever I get the chance! Happy belated birthday to my favorite country! Happy 150th Canada! Love these fun facts! Love these fun facts!! Happy Canada Day!! The coins are so pretty. Thanks for the chance to win! Found you through Amy Tangerine and I love your magazine. I actually ordered the Canadian Originals subscription box to support our artisans and got a special edition quarter – the Mint did all sorts of fun designs! Happy Canada Day! Love the interesting fact about the loonie/toonie. I almost forgot that we had those in bills a long time ago. Love all the great Canadian facts! You are an amazing resource! Love, love, love!